Here's another example of 'If it ain't broke, don't fix it." 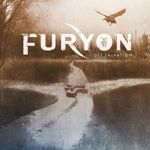 UK's Furyon returns with their second long player, Lost Salvation, and the band basically stays the course. 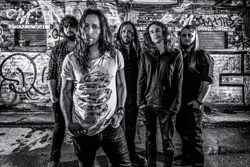 Their sound basically turns on post grunge hard rock infused with classic heavy metal, maybe some stoner and desert rock, wrapped in a modern metal d-tuned package. With that said, you're probably thinking, "So this is new how?" Never said it was new or novel, just more of the same for band. As with the previous Gravitas, the album is basically heavy from start to finish, the bottom end of bass and drums being deep and massive. The riffs only add to the enormity of Furyon's sound. Then, as a small nuance, at the start of Good Sky, they add some synth orchestration which makes the atmosphere even more dense. (I can't help but thinking that the underlying cause for the band's sound and course comes from Rick Beato (Shinedown, Fozzy) who, once more, produces, mixes, and masters the album.) That's not to say there aren't some tamer moments on the album. Both Scapegoat and Dematerialize find things dialed back, but only a bit. The former reminds a little of stoner or QOTSA desert rock with it's somewhat plodding pace; the latter tries to settle the guitar riffs a bit, but only a bit. 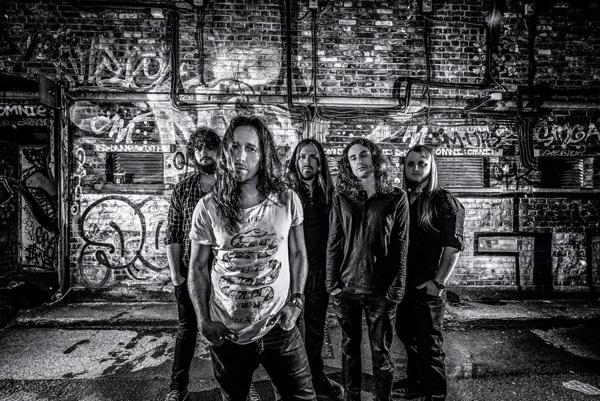 Another nuance, possibly an advancement, Furyon seems to have bumped up the melody and groove notable in several songs like Wiseman or Lost Salvation. The vocal harmonies also remain large, mainly harmonious, almost as gripping and dense as the music behind them. One thing that remains constant is the good measure of thrilling guitar solos. Largely, it's probably best to say that Lost Salvation is just as good as Gravitas, if not a small movement forward. If anything. it's more of Furyon being Furyon. So if you dig the band, you'll want this album. Largely, it's probably best to say that Lost Salvation is just as good as Gravitas, if not a small movement forward. If anything. it's more of Furyon being Furyon. So if you dig the band, you'll want this album.